Kick-start 2018 with new career and study goals! 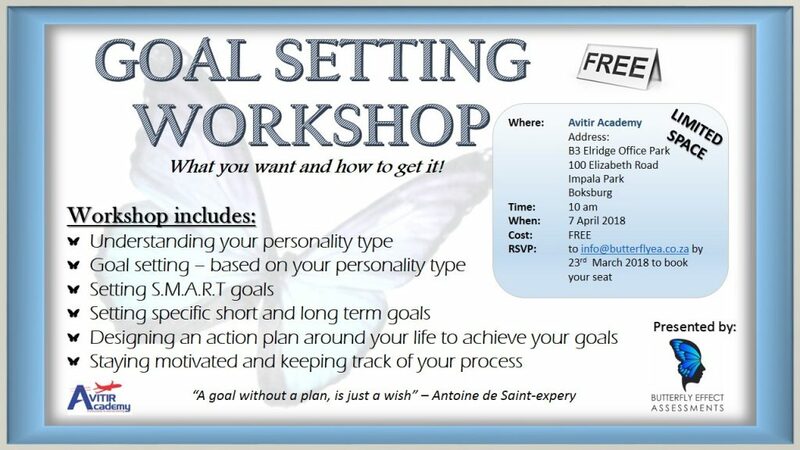 BEA (Butterfly Effect Assessments) is offering a FREE goal setting workshop. Tea and coffee will be served at the workshop! There are only 20 seats available!! To book your seat, send an email to info@butterflyea.co.za with your name and number.